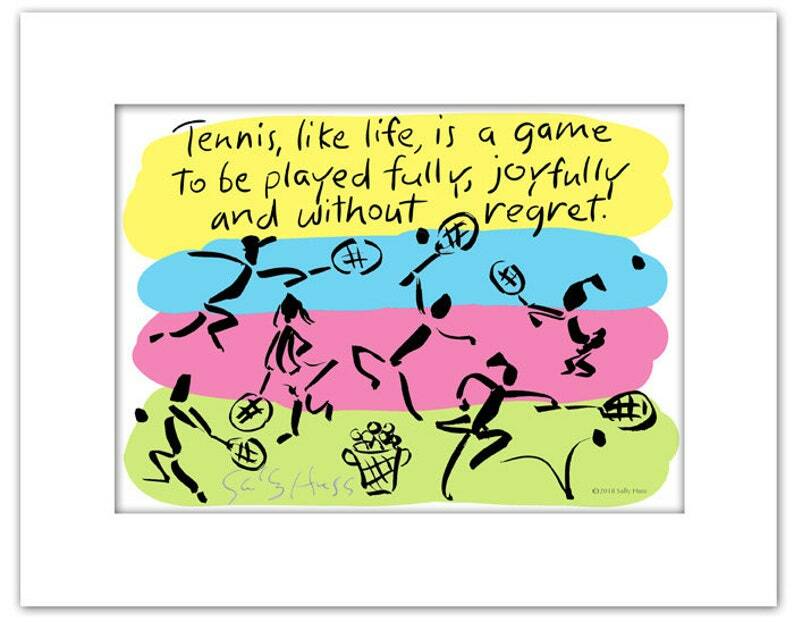 Tennis is a game for life and about life. This wonderful saying sums it up. I've played tennis for 65 years with no end in sight and I continue to learn and enjoy the sport. This piece is a matted, hand-signed print, with 8"x10" outside dimensions. It will fit comfortably in standard frame. Makes a great gift for yourself or someone else you love. Enjoy!